As one part of our overall renovation to breathe new life into this property for our clients, we’ve designed an impressive — and practical — place for them to take full advantage of the landscape, while also offering a delightful element to view when looking out into the yard from the home. 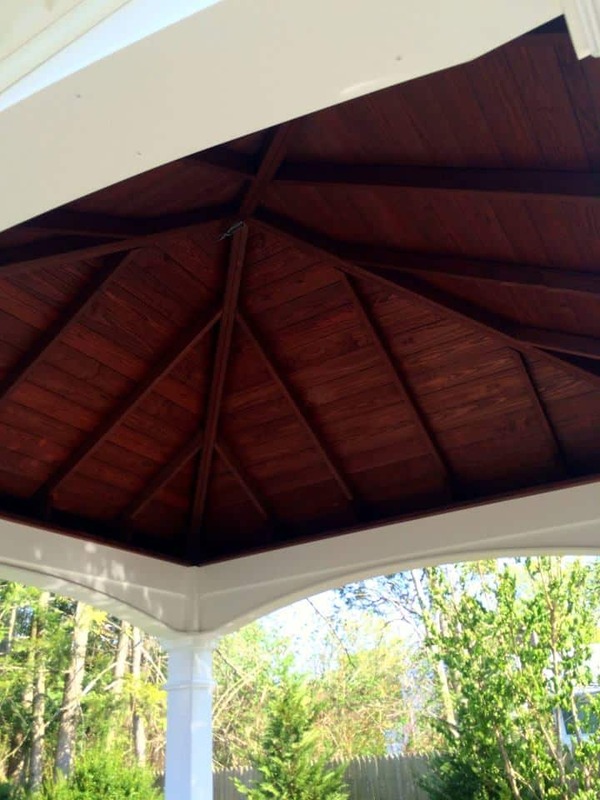 Located poolside, this generously-sized 12 x 12 ft. Hampton-style Pavilion was just completed yesterday and features an interesting Mahogany-stained rafter ceiling, arched headers with dental molding, architectural shingling, and decorative cupola. 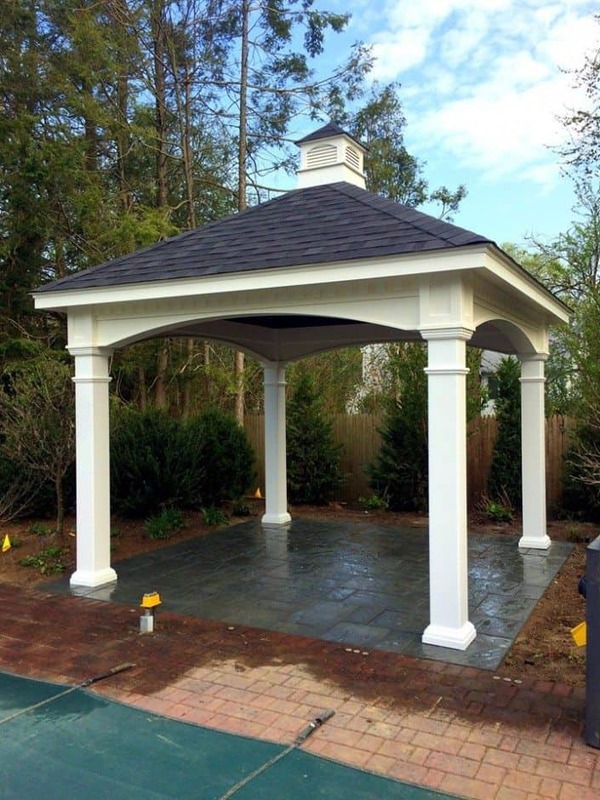 The handsome structure sits atop a custom-crafted patio of extra-large pavingstones in a cooling, bluestone-blend color. 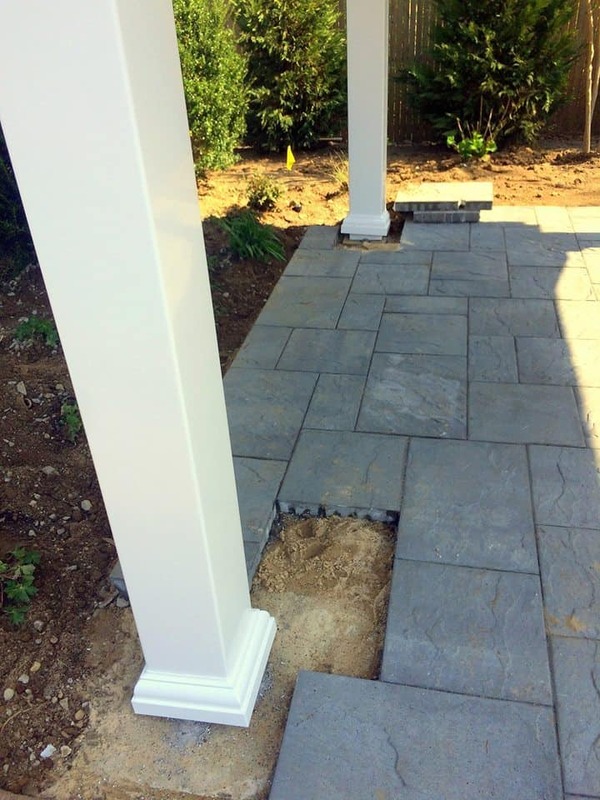 We hope you’ll return later this season to look for the finished project photos!